So yes – one of the days during the Cortona event we did a side jaunt to nearby Sienna. We’d already spent some time sketching on location with plenty of 1:1 feedback, so it seemed we might as well toss everyone into the pool and go on a sketching tour. 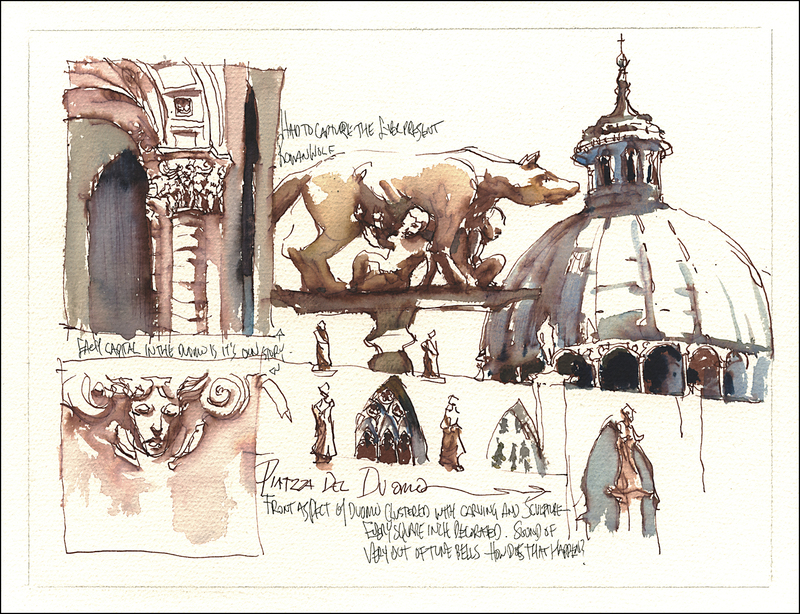 We got dropped off at the Plaza del Duomo and started by choosing a series of meeting points – circulating around a small area, and meeting at a visible landmark in an hour. So you could stick together if you wanted, or choose to have some alone-time with your sketchbook if you preferred. Either way, we’d be back together for the next leg of the tour. Apparently this free standing gate leading from the basilica square to the larger oval track in the city center (where Sienna’s famous horse races take place) was originally intended to be the side entrance to a huge cathedral that would have massively enlarged the basilica, making it the biggest church in all Italy. The gate, and some walls are still there today, implying just how impossibly big this structure might have been. It’s astonishing to stand in the street and imagine it roofed over with giant arches. It’s always kind of magic to me, the way you sketch things, and later come to find they have some fascinating story. If you wander an area and just draw the interesting stuff – you’re always finding great things. You don’t need a guide book. Just looking at stuff, you can tell – that thing is something important! This kind of fortuitous exploration is really inspirational to me. 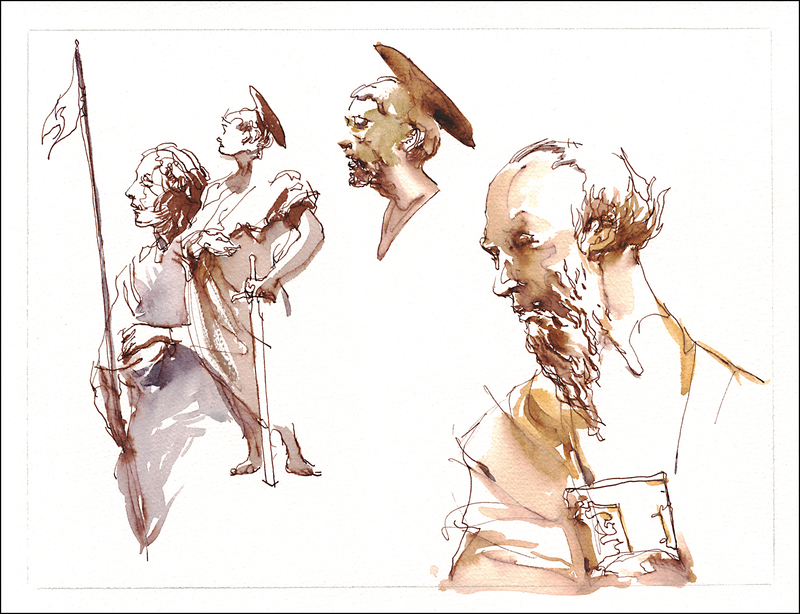 I feel the finding by accident, and the sketching by instinct and interest, connects me to history in a way that I’ll never get from books or documentaries. I’ve been watching the Singapore videos and following along with your urban sketching adventures there! 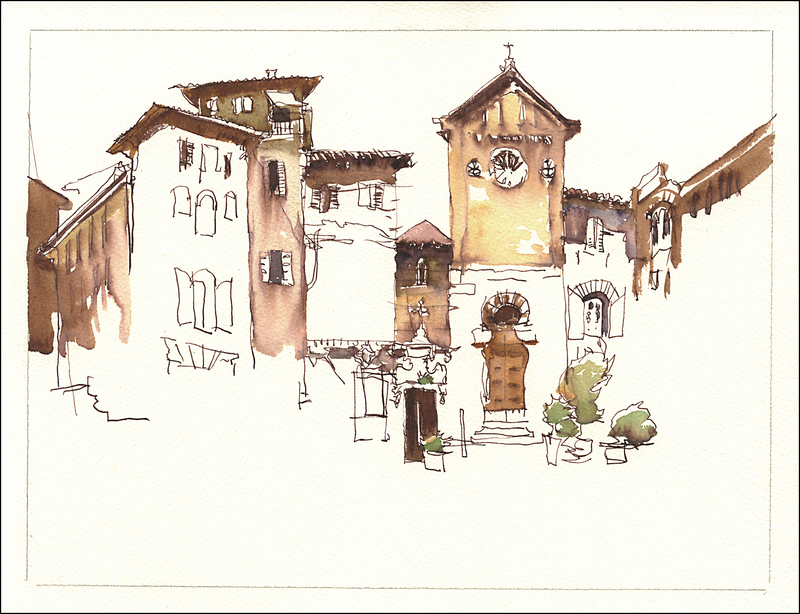 This post is particularly exciting to me because I’m headed to Umbria in sept and will be doing a lot of sketching. Looks like you’re using a combination of soluble and insoluble inks here? I love the way the ink melts just enough to create the ancient feel. The final look is Captivative…. I am new to sketching, and sketching on foot, and just came home from the holidays with both successes and frustrations in my sketchbook. This is so inspiring to me! Also, looks like you are having such fun in Singapore! what a palette, what a whimsical line – outstanding! 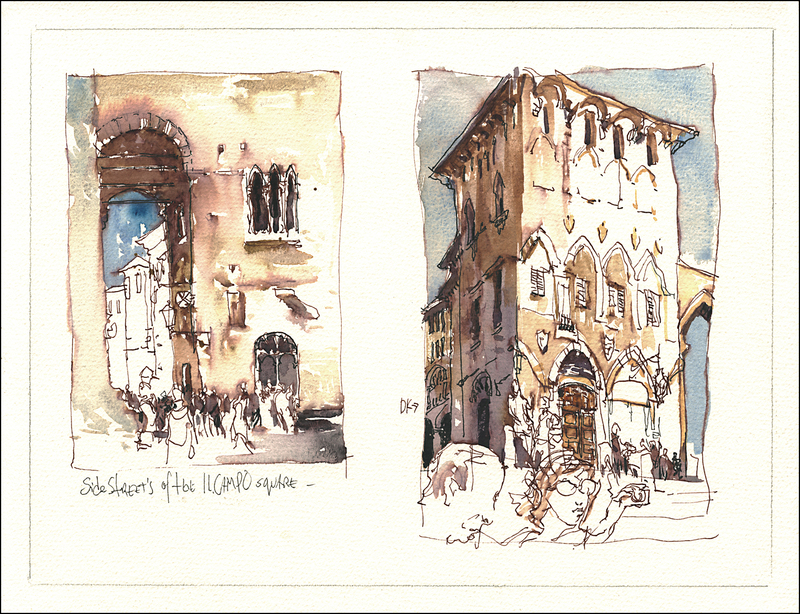 My wife and I just returned from Italy, where in every city and site I scanned for urban sketchers hoping to connect, and being (just slightly) disappointed in seeing none. 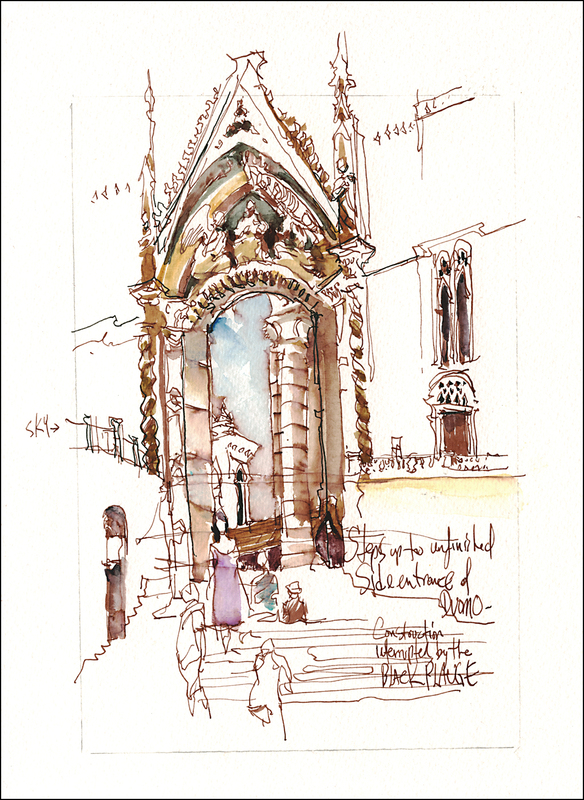 Imagine my surpise to read your Italy posts and realize we missed your group by perhaps a few moments… I’ve enjoyed and benefited from your book and esty sketching class, and now from your sketched impressions of Italy. Thanks, MTH!